Home >> WorldWire >>World News >> Japan Facing a "Ninja Shortage"
Japan Facing a "Ninja Shortage"
Ninjas are known for their stealth, but the disappearance of these feudal-era assassins is becoming something of a problem in Japan. Tourism is booming in Japan, and many foreign tourists expect crowd-pleasing ninja performances when they visit the country. In recent years, ninja-themed villages and restaurants have emerged. Some Japanese towns have even created popular ninja tours, where foreign visitors can train to become deadly assassins and watch exciting demonstrations. 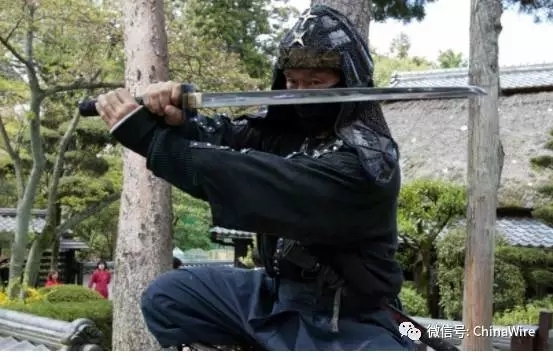 “The domestic ninja market is definitely expanding,” Japan Ninja Council secretary-general Kunihiro Tateishi told reporters, but there is a noticeable lack of suitable “ninjitsu” practitioners. Sankosha Co., a Nagoya-based company responsible for managing the Tokugawa Ieyasu and Hattori Hanzo Ninja Squad, was only able to recruit a handful of potential ninjas this spring. Last year, 235 people, including 200 foreigners from 40 different countries, signed up, but the numbers have since dwindled dramatically. The problem is that many of the individuals who step up simply do not have what it takes to be a ninja and properly represent this traditional Japanese martial arts form. As would be expected, being a ninja is no easy task. In addition to unarmed combat, practitioners must also have acrobatic, stealth, and first aid skills. Ninjas must be able to use a variety of weapons, including swords and throwing stars. New language requirements have reportedly led to a marked decrease of foreign applicants for ninjitsu programs, further reducing the pool of potential practitioners.